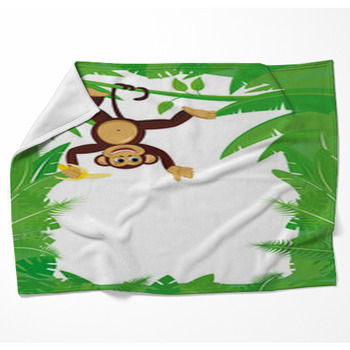 Monkeys are one of your favorite animals because they're cute, funny and intelligent. 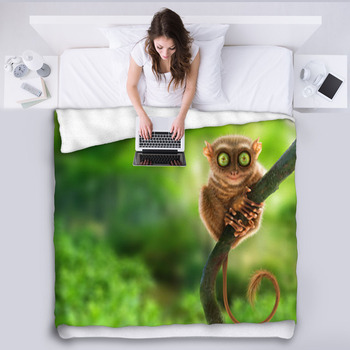 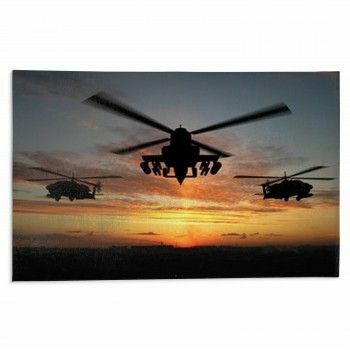 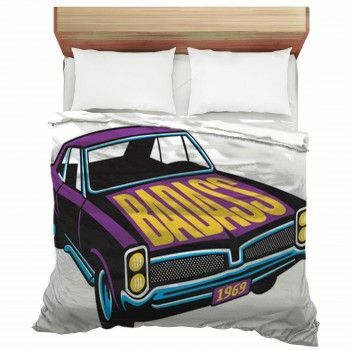 Make yourself laugh by decorating your home with our furry fleece monkey blankets. 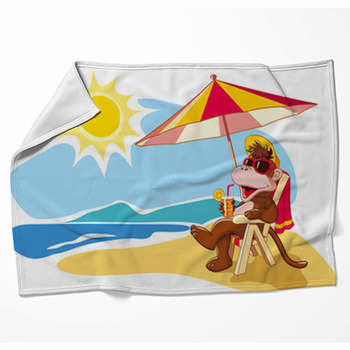 We have dozens of blanket designs with illustrated monkeys doing adorable and hilarious things, including a baby monkey swinging from a vine while sucking on a pacifier and playing with a teddy bear, a monkey with a long, skinny neck, a round belly and a half grin wearing a skull and crossbones pirate hat and holding a sword, or an old-fashioned monkey in a tiny top hat and huge bowtie playing a drum and dancing. 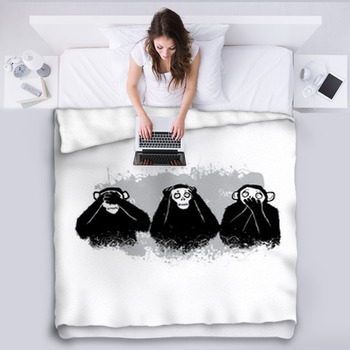 Monkeys bring us joy because they are similar to us in so many ways, yet live simpler, more playful lives free of the need for clothing, jobs and all of the boring social rules that we live by. 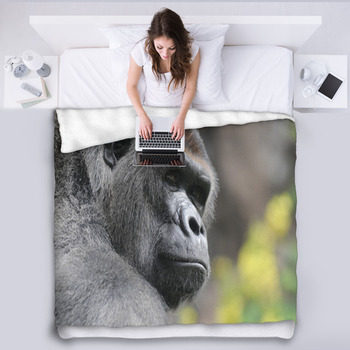 When you have a monkey throw blanket lying on your couch or hanging on your wall, you'll let your friends know that your home is a place to relax, have fun, and forget about the normal rules. 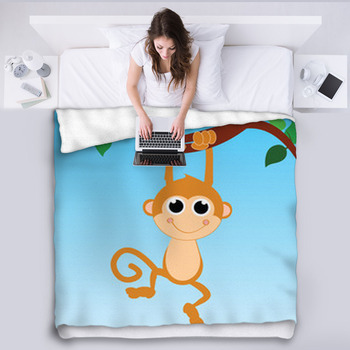 Display a blanket featuring monkeys standing on one foot, two hands or one hand, a baby monkey with big brown eyes sailing the ocean on a giant banana. 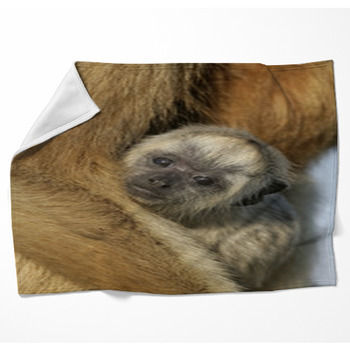 There's only one thing cuter than a baby monkey, and that's a baby monkey and a baby rabbit sitting together under a gigantic leaf to stay out of the rain. 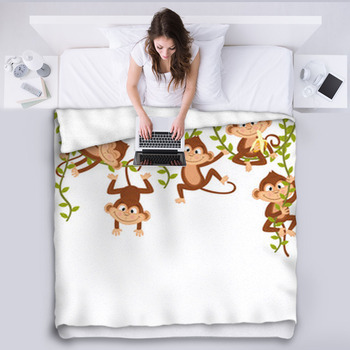 For a stylistic design, choose a blanket with the monkey representative of certain years in the Chinese horoscope. 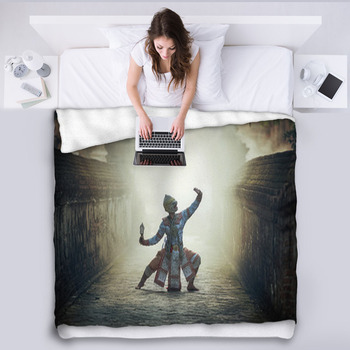 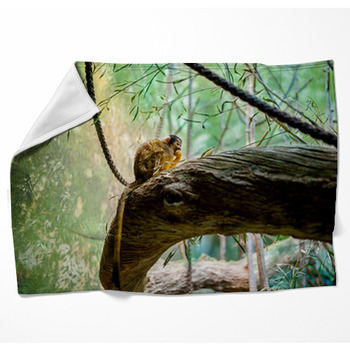 If you want an artistic image on your monkey blanket, choose the photograph of a baby orangutan crouching on an old log, a long arm stretched out for balance and its soulful eyes peering at you. 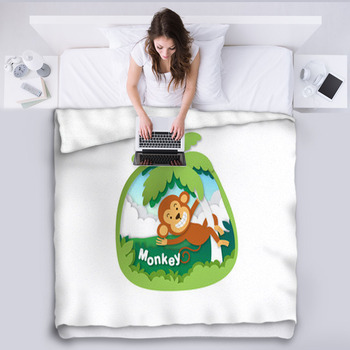 Remind yourself each day to have more fun in life when you look at your new custom monkey blankets.